Munford (36) — Deasha Banks 4, Gabby Crawford 14, Shania Johnson 8, Johnna Jones 7, Deja Potter 1, Kyla Taylor 2. Collierville (41) — Destiney Amaefula 2, Trinity Farmer 2, Kyra Pryor 13, Alexis Taylor 12, Jada Taylor 7, Lauren Taylor 5. Records — Munford 2-3, Collierville 5-1. Hamilton (56) — Reid 11, Nathan 7, Porter 3, White 1, London 15, Isaac 4, Thompson 15. Central (68) — Miyah Barnes 16, Jasmine Carson 10, Tijuana Griggs 9, Alencia Hall 2, Kynadi Kuykendoll 4, Johne Stewart 5, Jireh Washington 9, Lanetta Williams 13. White Station (72) — Alana Black 4, Damiah Griffin 16, Tamia Jones 13, Taelor Manning 8, Dejah Montgomery 6, Brittni Moore 10, Taylor Williams 15. Madison-Ridgeland Aca. (60) — Kayla Lovitt 2, Nina German 13, Aleah Sutton 27, Allyson May 2, Amber Sutton 12, Ariel Johnson 2, Aubree Dillan 2. Records — White Station 3-1, Madison-Ridgeland Aca. 4-2. 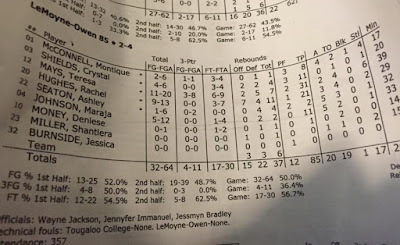 Overton (49) — Marquisha Fennell 3, Dereka Daiey 6, Kylia Green 8, Kiara Pettis 9, Rodria Echols 6, Keyunta Butts 1, Kala Williams 10, Dontrecia Johnson 6. St. Benedict (47) — Taylor Barnes 14, Kristina Ferris 2, Nicole Ferris 9, Lili Glenech 1, Myah LeFlore 12, Courtney Parker 1, Braxton Powers 2, Nicole Ungaro 6. Records — Overton 2-0, St. Benedict 4-1. Jackson Central-Merry (13) — Huntsman 1, Chatman 4, Sails 3, Patterson 5. Catholic (58) — Suzanne Dease 13, Zarera Ector 8, Lytia Flowers 15, Gabby Moore 16, Cheyenne Smith 2, Shania Smith 4. Union City (48) — Bishop 15, Pearson 4, Smith 7, Vaughn 20, Williams 2. Bolton (51) — Cece Craft 2, Toni Green 5, Kiki Logan 3, Marguisa McGregory 2, Lakayia Parker 2, Taylor Smith 5, Lulu Swift 4, Heaven Thompson 10, Kerrice Watson 12, Misha Wright 6. Records — Union City 4-2, Bolton 3-3. Catholic (46) — Suzanne Dease 6, Zarera Ector 13, Lytia Flowers 7, Gabby Moore 18, Shania Smith 2. Union City (53) — Bishop 13, Pearson 5, Smith 18, Vaughn 8, Williams 2, Young 7. Catholic (48) — Suzanne Dease 8, Zarera Ector 9, Lytia Flowers 12, Gabby Moore 19. Dyersburg (61) — Smith 10, Thompson 15, Hollins 6, Crawford 26, Bailey 2, Dyson 2. Bolivar (40) — Brown 4, Bryant 10, Bills 5, Hardaway 12, Traylor 9. Arlington (65) — Raegyn Branch 17, Nakia Grandberry 10, Trenity Hill 2, Taylor Lattimore 10, Ashley Lee 13, Callie McMorran 3, Tori Sewell 8, Caitlyn Wilson 2. Records — Bolivar 0-4, Arlington 3-1. Munford (30) — Gabby Crawford 12, Shania Johnson 5, Johnna Jones 11, Deja Potter 2. Houston (46) — Shaela Gardner 6, Madison Griggs 3, Jayla Hemingway 23, Rochelle Lee 6, Jaida Roper 6, Shannon Sharp 2. Records — Munford 2-2, Houston 4-0. Collierville (67) — Destiney Amaefula 2, Nadia Baker 2, Lizzie Christensen 2, Trinity Farmer 6, Kyra Pryor 17, Destiny Shaw 8, Alexis Taylor 7, Jada Taylor 7, Lauren Taylor 16. Hutchison (46) — Kerrigan Braxton 16, Rainey Charbonnet 2, Gardner Dunavant 12, Elizabeth Farnsworth 5, Macy McCullough 3, Madison Moore 8. Records — Collierville 4-1, Hutchison 2-1. Central (80) — Eva Bailey 2, Miyah Barnes 12, Jasmine Carson 12, Brianna Cooks 9, Tijuana Griggs 4, Alencia Hall 6, Kynadi Kuykendoll 2, Sarina Rodgers 3, Johne Stewart 12, Jireh Washington 8, Lanetta Williams 5, Lanyce Williams 2, Breonna Hopkins 3. Mitchell (31) — Vertonia Bady 14, Demiya Grandberry 3, Dominique McAdory 4, Anterrica Willis 3, Kiara McCollins 7. East (55) — Vertonia Bady 2, Dominique Chatman 6, Demiya Grandberry 6, Shakira Hearn 2, Derinisha Taylor 25, Anterrica Willis 23, Kiara McCollins 5. Mitchell (69) — Laterria Black 2, Kaylyn Downs 1, Jaylin Perry 23, N. Young 2, T. Gray 10, K. Freeman 17. Madison-Ridgeland Aca. (34) — Kayla Lovitt 4, Nina German 2, Aleah Sutton 6, Lanie Force 4, Allyson May 1, Amber Sutton 17. Overton (59) — Marquisha Fennell 4, Dereka Daily 10, Kylia Green 8, Cara Pettis 7, Rodria Echols 13, Keyunta Bujtts 3, Kala Williams 9. Records — MRA 4-1, Overton 1-0. White Station (38) — Akaba Black 5, Damiah Griffin 9, Kyla Harris 2, Tamia Jones 8, Taelor Manning 1, Dejah Montgomery 5, Brittni Moore 6, Taylor Williams 2. St. Benedict (45) — Taylor Barnes 14, Nicole Ferris 13, Myah LeFlore 10, Courtney Parker 3, Nicole Ungaro 5. Records — White Station 2-1, St. Benedict 4-0. Union City (42) — Bishop 5, Pearson 2, Smith 12, Vaughn 23. Briarcrest (58) — Morgan Hunt 17, Marika Owens 3, Savanna Owens 16, Julia Perrusquia 2, Alyiah Wells 8, Brianna Pope 3, Caitlin Hunt 6, Rachel Sullivan 1, Jewel Robinson 2. Records — Union City 2-3, Briarcrest 3-1. 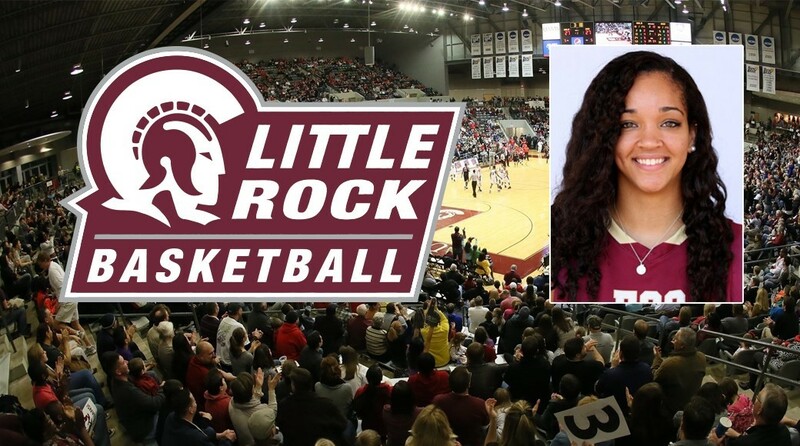 Emily Lytle, ECS: Lytle, a senior who has signed with Arkansas-Little Rock, poured in 41 points on Tuesday as the Eagles improved to 3-1 with a 53-40 victory over St. Agnes. The night before against Tipton-Rosemark, she scored 18 in a 45-30 victory. Pearl-Cohn (58) — Wooden 3, Shaw 19, Sandifer 9, Chambers 5, Mayes 13, Hayes 4, Birdine 5. Central (82) — Eva Bailey 6, Miyah Barnes 16, Jasmine Carson 6, Brianna Cooks 9, Tijuana Griggs 8, Kynadi Kuykendoll 6, Johne Stewart 8, Jireh Washington 14, Lanetta Williams 9. Maplewood (49) — Hayes 13, Appial 9, McCollough 1, C. Harris 10, D. Harris 9, Graham 3, Bagley 2, Webb 2. Mitchell (64) — Vertonia Bady 22, Dominique Chatman 12, Demiya Grandberry 2, Dominique McAdory 2, Derinisha Taylor 16, Anterrica Willis 5, Kiara McCollins 5. Dyersburg (49) — Smith 16, Thompson 7, Hollins 6, Simmons 2, Crawford 16, Bailey 2. Briarcrest (61) — Morgan Hunt 16, Savanna Owens 4, Julia Perrusquia 8, Alyiah Wells 14, Lauren Taylor 4, Brianna Pope 5, Caitlin Hunt 10. Records — Dyersburg 2-2, Briarcrest 2-1. Liberty Tech (50) — An. Collins 3, T. Mason 9, Al. Collins 5, L. Fisher 2, J. Johnson 2, A. Smith 4, T. Pearson 16, A. Givens 9. Bolton (63) — Cece Craft 2, Toni Green 2, Kiki Logan 3, Ameri Mickelson 2, Lakayia Parker 17, Taylor Smith 2, Lulu Swift 3, Heaven Thompson 12, Kerrice Watson 11, Misha Wright 2, Tyler Garner 2, Breanna Tipton 3, Zoe Simpson 2. Records — Liberty Tech 2-1, Bolton 2-2. Led by state Gatorade Player of the Year Myah Taylor (18.2 ppg, 8.3 rpg), a Mississippi State commit and junior guard, the Lady Quistors were the 6A runner-up the past two seasons and look to take the title this season. 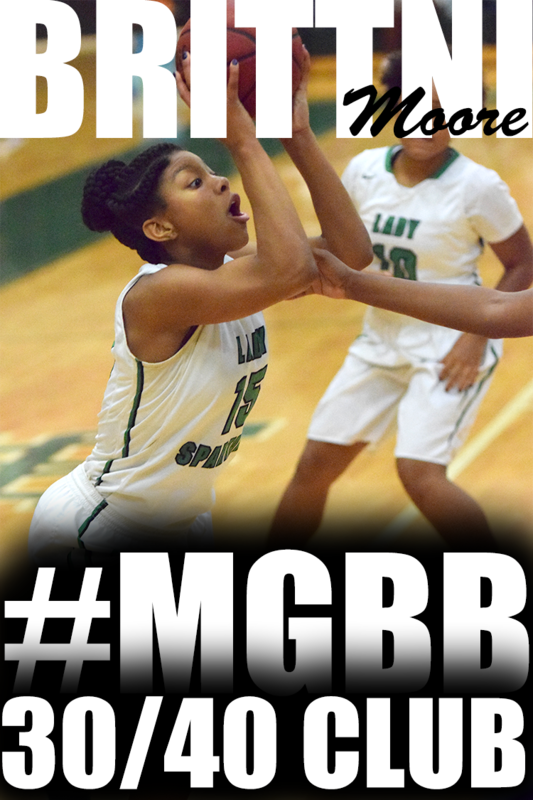 Sophomore guard Mahogany Vaught and senior guard Savanna Geeslin give Olive Branch plenty of firepower. MBA (54) — Murry 16, Burnett 2, Gillard 12, Hamilton 8, Ruder 12, Shipp 4. City University (16) — Miracle Gober 8, Iesha Miller 2, Tatyana Rideout 3, Grace Hearns 2, Tezzala Danner 1. Records — City University 0-2. Arlington (54) — Raegyn Branch 13, Nakia Grandberry 2, Taylor Lattimore 4, Ashley Lee 11, Callie McMorran 11, Caitlyn Wilson 7, Maya Brown 6. Collierville (39) — Daija Boyd 3, Trinity Farmer 8, Kyra Pryor 9, Alexis Taylor 3, Lauren Taylor 16. Records — Arlington 2-1, Collierville 3-1. St. Benedict (67) — Taylor Barnes 14, Kennedy Denegri 4, Kristina Ferris 3, Nicole Ferris 15, Lili Glenech 2, Juliet Hirsch 2, Myah LeFlore 15, Parker 2, Braxton Powers 2, Catalina Carrasco 2, Lauren Neuhoff 2, Braxton Powers 4. Cordova (36) — Chardonney Brown 1, Taylor Christian 13, Takyiah Head 4, Deaundra Poe-Wilkins 7, Jerhonise Rollins 3, Adrianna Wrister 8. Records — St. Benedict 3-0, Cordova 0-3. St. Agnes (40) — Amanda Lammey 10, Marisa Lewis 7, Caroline Pietrangelo 9, Rachel Siano 5, Amelia Wigley 9. ECS (53) — Daisha Jiles 6, Emily Lytle 41, Emma Baltz 2, Claire Waddell 4. Records — St. Agnes 1-1, ECS 3-1. 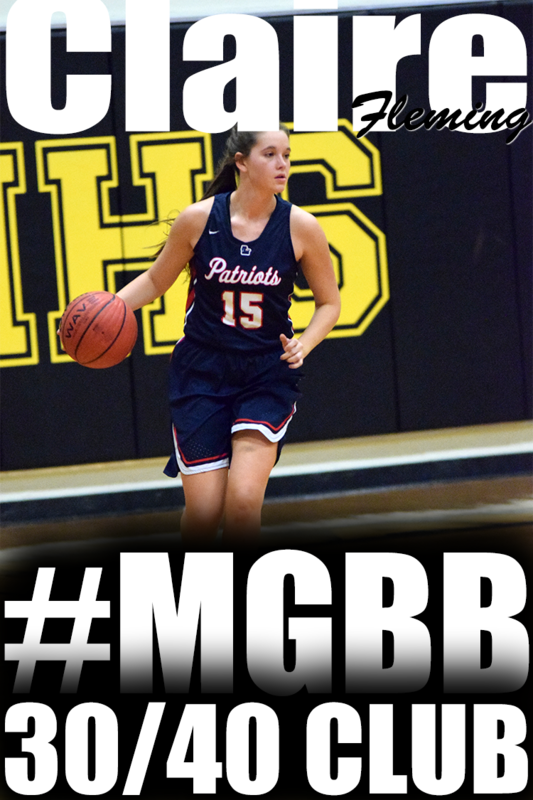 Magnolia Heights (34) — Lindley Gaines 8, Maggie Glosson 2, Codie Robertson 8, Ann Reagan Sandridge 3, Mari Alex Sandridge 11, Ari Millination 2. Fayette Aca. (40) — Kaitlin Bowers 1, Abby Hilliard 8, Lauren Lessel 9, Kayli Skelton 17, Emily Hunt 3, Hayley Moffatt 2. Records — Fayette Aca. 3-1. Bartlett (46) — Stella Gill 9, Jessica Jackson 4, Ashley Payne 6, Nyla Smith 5, Dee Dee Williams 19, Elizabeth Williams 3. 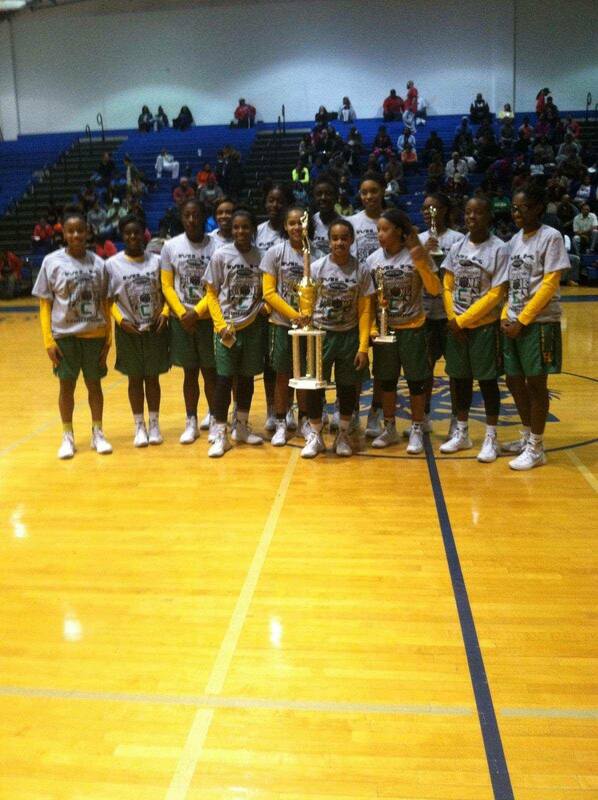 Houston (64) — Madison Griggs 11, Jayla Hemingway 14, Sammiyah Hoskin 10, Rochelle Lee 8, Sydney Malone 4, Jaida Roper 17. Records — Bartlett 2-2, Houston 3-0. Melrose (46) — Conner 10, Miller 8, Smith 2, Spencer 6, Watkins 13, Brooks 7. Hutchison (62) — Rainey Charbonnet 5, Gardner Dunavant 10, Elizabeth Farnsworth 30, Jordan Groover 2, Macy McCullough 1, Madison Moore 11, Kerrigan Braxton 3. Memphis Metro (42) — Battle 21, Hicks 17, Nichols 3, Taylor 1. Millington (32) — Tamia Aldridge 3, Bria Barnes 2, Traci Clark 3, Glenda Garner 12, Keyona Johnson 6, Marquisha Sanders 6. Records — Memphis Metro 2-1, Millington 0-3. MAHS (30) — Bailey 2, Cathey 10, Gary 4, Jett 2, Shelley 1, Stewart 5, Echols 6. MLK Prep (41) — V. Hooks 3, D. Johnson 7, T. McCullough 8, K. Merriweather 6, Q. Paige 3, D. Pearson 8, U. Miller 6. Records — MLK Prep 2-2. Power Center Aca. (25) — Surina Finnie 4, Jurica Garrett 2, Zebriana Lee 1, Rahja White 9, Makaila Banks 6, Jada Conley 2, Destini Brodreaux 1. White Station (67) — Dejah Montgomery 6, Taylor Williams 5, Brittni Moore 14, Damiah Griffin 11, Tamia Jones 11, Allana Black 8, Taelor Manning 8, Gigi Ford 4. Records — Power Center Aca. 1-1, White Station 2-0. Bolton (45) — Toni Green 4, Lakayia Parker 8, Lulu Swift 4, Heaven Thompson 21, Kerrice Watson 2, Misha Wright 6. Ridgeway (61) — Takesia Barnes 4, Brandi Beasley 29, Elizabeth Dixon 13, Cassye Greer 10, Mericle Hall 2, Jamille Hamlett 3. Records — Bolton 1-2, Ridgeway 3-0. FACS (50) — Riley Willard 8, MacKenzie Youd 12, Bionka Massie 27, Carmen Moore 3. Rossville Christian (51) — Breana Bing 2, Caroline Loftin 24, Kara Novarese 12, Gracie Cairncross 6, Mary Cathryn Mathis 7. Records — FACS 0-1, Rossville Christian 3-1. Margolin Hebrew Aca. (15) — Klazmer 9, Brown 2, Morris 2, Klein 2. St. George's (71) — Kirby Betchick 1, Ann Ragan Grissom 9, Grace Kenley 7, Makayla Smith 6, Miaya Smith 20, Adi Thrasher 16, Abbie Cloutier 2, Gracie Maiden 4, Katelyn Grisham 6. Records — St. George's 1-0. Macon Road (27) — Amber Bigelow 14, Ari Davidson 3, Katie Smith 8, Kacy Cauldron 2. Westminster (40) — Leah Campbell 6, Sarah Folk 1, Laurel Martens 4, Ashton Storey 25, Addison Furst 4. Records — Macon Road 0-3, Westminster 2-1. ECS (45) — Jordan Shackleford 11, Adrienne Teed 6, Daisha Jiles 4, Emily Lytle 18, Hope Gribble 3, Emma Baltz 1, Kelly Kuenzinger 2. Tipton-Rosemark Aca. (30) — Taylor Beasley 5, Brooke Bridges 3, Ally Naifeh 10, Megan Sanfratello 9, Abby West 3. Records — ECS 2-1, Tipton-Rosemark Aca. 1-1. Horn Lake (48) — Bowen 2, Shaw 2, Adams 10, T. Richardson 8, Ward 11, E. Richardson 15. Central (77) — Miyah Barnes 16, Brianna Cooks 8, Tijuana Griggs 2, Kynadi Kuykendoll 2, Johne Stewart 18, Jireh Washington 9, Lanetta Williams 6, Jasmine Carson 15, Eva Bailey 1. Records — Horn Lake 5-1, Central 3-0. Munford (53) — Deasha Banks 4, Gabby Crawford 13, Shania Johnson 9, Johnna Jones 19, Deja Potter 6, Kyla Taylor 2. Bartlett (58) — Karagan Coggin 4, Jessica Jackson 21, Ashley Payne 12, Nyla Smith 7, Dee Dee Williams 14. 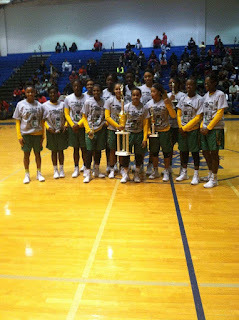 Fairley (21) — :Diamond Douglas 11, Destiny Fifer 1, T. Reed 1, Adrian Ross 2, Danja Washton 4, Jasmine Melton 2. Catholic (55) — Suzanne Dease 1, Zarera Ector 18, Lytia Flowers 6, Deyon Gipson 2, Harmony Lucas 10, Gabby Moore 10, Shania Smith 2, Cheyenne Smith 6. Records — Fairley 0-1, Catholic 2-1. Macon Road (13) — Amber Bigelow 6, Ari Davidson 4, Kyleigh Luckett 1, Kacy Cauldron 2. Fayette Aca. (68) — Kaitlin Bowers 8, Kaylie Carter 4, Sarah Layne Ellis 12, Abby Hilliard 3, Lauren Lessel 11, Morgan Reed 4, Kayli Skelton 13, Alex Wadley 2, Emily Hunt 9, Hayley Moffatt 2. Records — Macon Road 0-2, Fayette Aca. 2-1. East (38) — Jaylin Perry 15, Jaamaya Bell 2, Radanka Washington 2, Kaylyn Downs 4, Makaila Cheathem 14, Laterria Black 1. Harding (49) — Valecia Harris 3, Hadley Horner 5, Tori Robinson 3, Antoinette Lewis 14, Zaria Christy 4, Abigail Howell 1, Carley Rhoads 2, Sarah Luttrell 2, Anna Horner 15. Northpoint (72) — Ashtyn Baker 12, Micaela Brown 4, Lauren Gross 6, Amara McKay 2, Hannah Shafer 2, Hadie Sowell 3, Jade Wells 21, Lindsay Whiteside 18, McKinlley Baker 2, Allie Enders 2. Magnolia Heights (22) — Lindley Gaines 10, Avery McIver 2, Codie Robertson 4, Ann Reagan Sandridge 2, Mari Alex Sandridge 4. Collierville (46) — Destiney Amaefula 1, Daija Boyd 6, Trinity Farmer 16, Kyra Pryor 2, Destiny Shaw 4, Alexis Taylor 5, Jada Taylor 3, Lauren Taylor 9. St. Agnes (35) — Amanda Lammey 10, Marisa Lewis 7, Caroline Pietrangelo 8, Mary Wilson Screws 2, Rachel Siano 1, Amelia Wigley 5, Lauren Ryan 2. Records — Collierville 3-0, St. Agnes 1-1. Raleigh-Egypt (55) — Tasia Bland 7, Taylor Bridges 18, Diamond Hunt 6, Britney Johnson 2, Jakayla Robinson 8, Ronni Williams 14. Westwood (33) — Carleesia Austin 6, Breanna Boyd 6, Marnique Burton 2, Jasmyne Long 9, Tacorria Stokes 5, Catrice Norrington 2, Jamira Jenkins 3. Outlook: After two straight runner-up finishes, this looks like the year the Lady Quistors finally bring home the title. Reigning Pepsi Best of the Preps player of the year Myah Taylor (Mississippi State commitment) averaged 27.3 points, 8.7 assists and 6.0 steals through the first three games and 5-8 sophomore Mahogany Vaught averaged 23.7. Savanna Geeslin is a terrific long-range shooter who complements the big two, and the bench will get better as the year progresses. Outlook: Missing the state tournament meant a down year for the Wolverines, but don't expect them to miss this season. 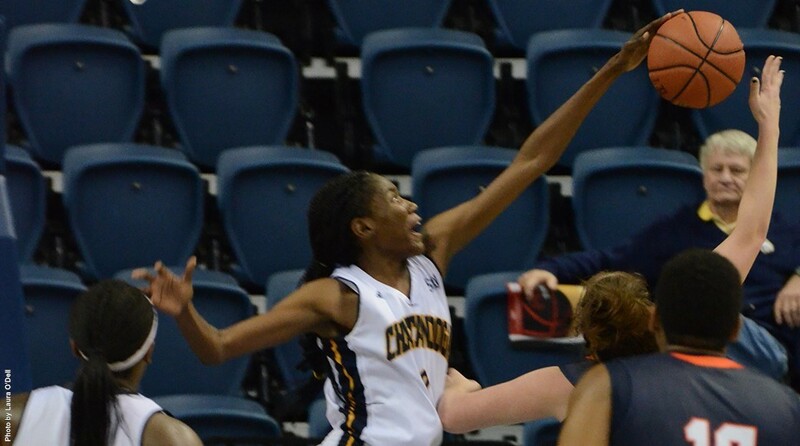 Kyla Green returns after leading the team in scoring (15 ppg) and rebounding (8 pg). Rodrea Echols (Oklahoma State) and Kayla Williams (Wichita State) are the other leaders of a close-knit group that is embracing its high expectations. Outlook: After their first taste of state play in 2014, the Tigers will be hungry for a return to Murfreesboro. The talent is certainly there — Raegyn Branch (Wake Forest) and Tori Sewell (Arkansas State) are future D-1 players, and senior forward Ashley Lee should improve on last year's 6 points per game average. There's good depth too. 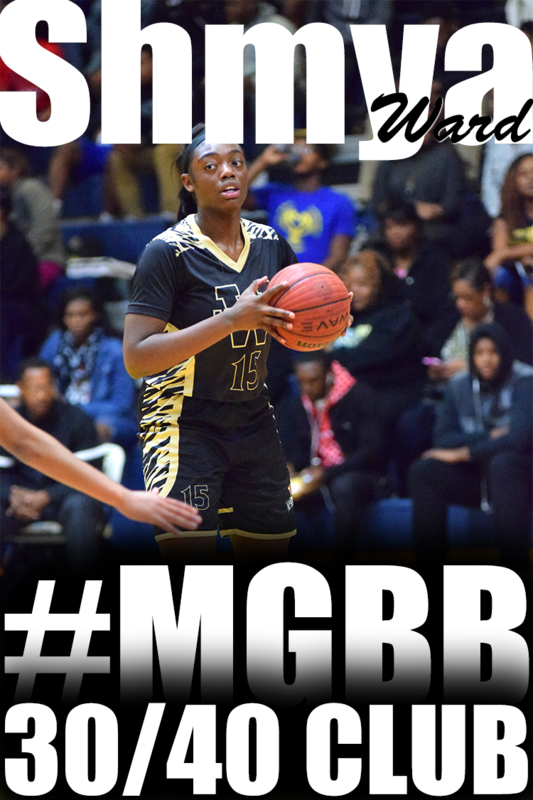 Outlook: The Panthers' hopes for a return trip to state rest with senior Charity Savage, who has committed to Middle Tennessee State and has a strong claim to being the best player in Shelby County. 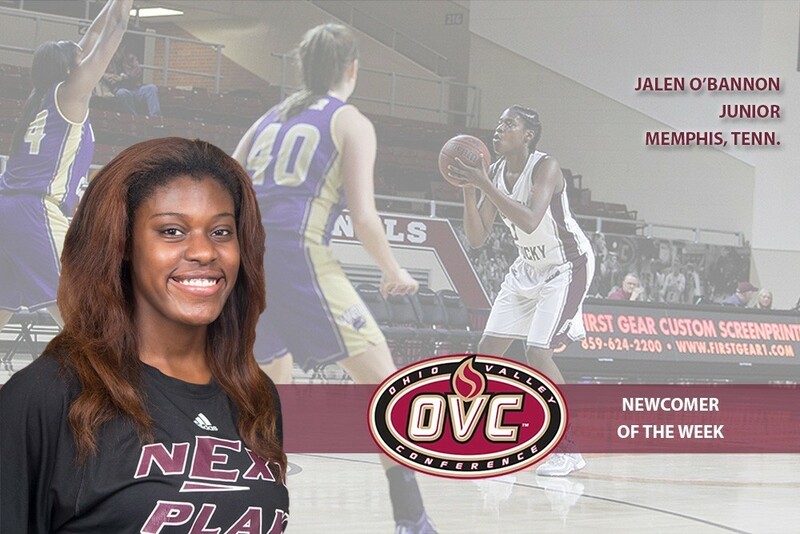 Jessica Jackson is a very capable floor leader; Nyla Smith and Stella Gill also have plenty of starting experience. Outlook: Standouts Alexyse Thomas and Rodneshia Martin are gone, but the Eagles still have plenty of talent as they go for a three-peat in MHSAA 6A. 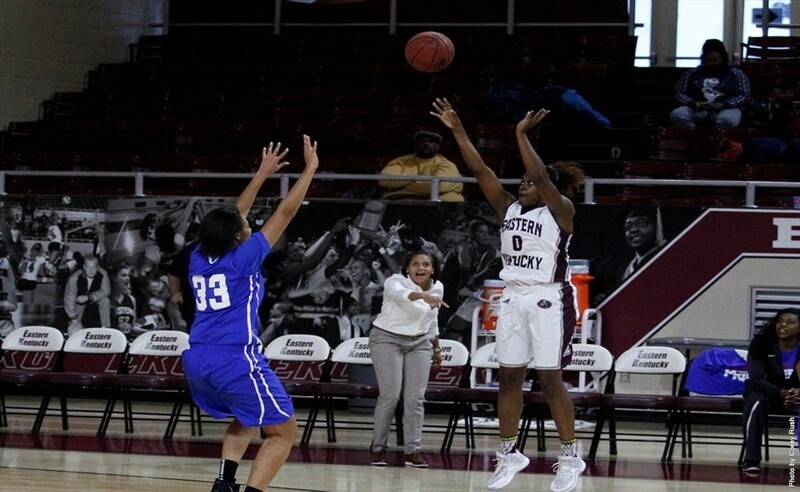 Tae'Lour Richardson, a 5-9 senior who has committed to Eastern Kentucky, will carry much of the load until other players adjust to bigger roles. Outlook: The Trojans have made three straight state trips and this year's team could be better than any of those. Ashtyn Baker (12.1 ppg, 5.1 rpg, 4 apg, 4.1 steals) and sharpshooter Lauren Gross (15.9 ppg, 7.3 rpg) lead four returning starters who will be joined by talented newcomers Jade Wells and Lindsey Whiteside. Outlook: The Chiefs return several key players from last year's team that won 15 in a row before a state tournament loss. Guard Danielle Conley will contend for player of the year honors, and Daja Scurlock (6-1) and Morgan Morris (5-10) form a fine inside combo. Last year: A good group of returning veterans led by Louisiana Tech signee Jaida Roper will make the Mustangs dangerous. 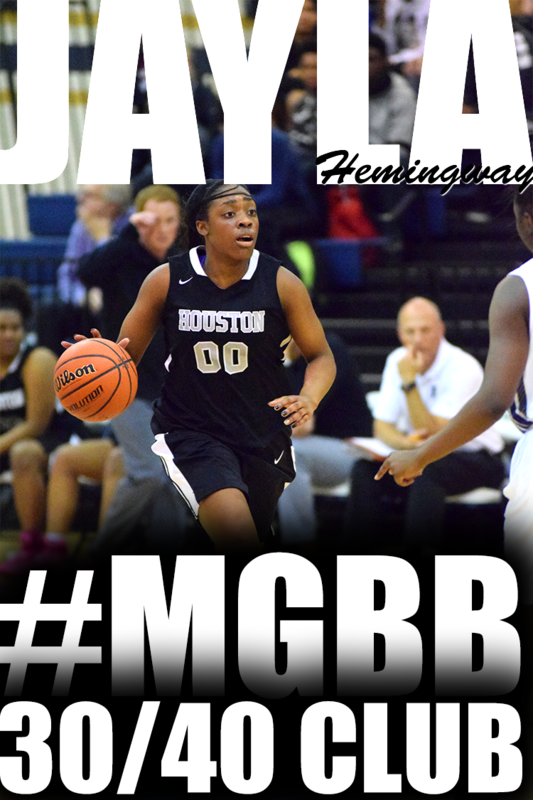 Junior Shannon Sharp should be better this year, but what really makes Houston exciting is the arrival of freshman sensation Jayla Hemingway, who dropped 32 on Bolton in the season opener last week. Outlook: Torri Lewis and her 3,000-plus career points are at Ole Miss, but the Eagles won't fall far. 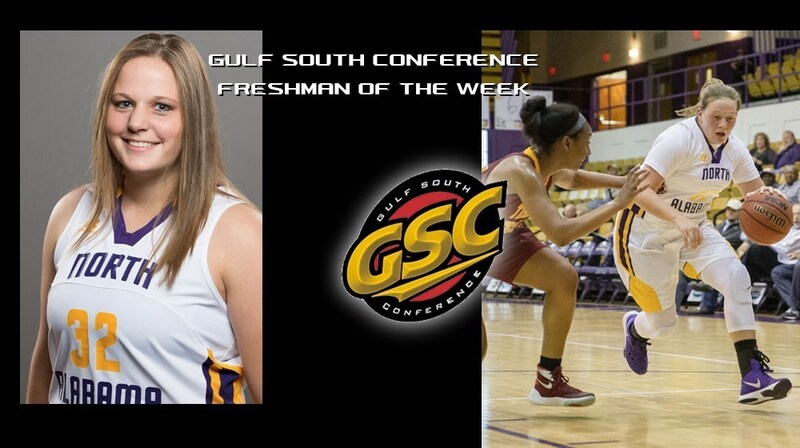 Three-point ace Jamie Crum is the top returnee, and sophomore Lindsey Vaughn was the home school sixth man of the year. 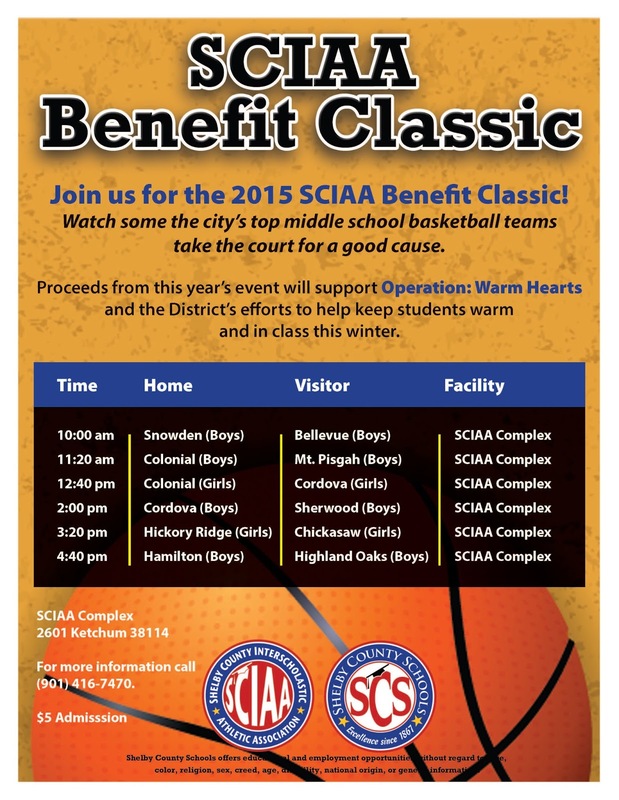 Games against Central, Ridgeway and Briarcrest will be good tests. Outlook: Few teams lost as much to graduation as the Roadrunners, who won 26 straight before losing their last two. But Illinois signee Brandi Beasley, a Miss Basketball finalist last season, is back for her senior year along with promising sophomore Elizabeth Dixon. Outlook: Central made big strides with a freshman-heavy team last year and should be even better in 2015-16. 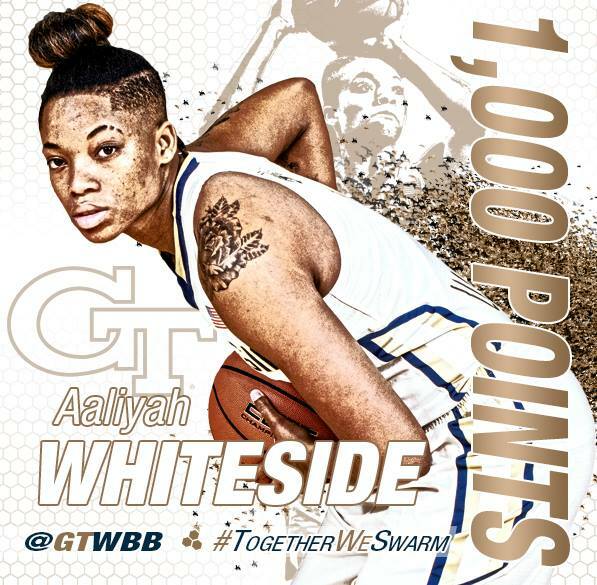 UAB signee Miyah Barnes leads a team that loves to push the pace and knock down 3-pointers. Outlook: Always a threat to reach state, the Lions will depend heavily on Antoinette Lewis and Anna Horner, who averaged double-doubles last year. Briarcrest: Graduated a ton of talent the last two seasons but still will be formidable. 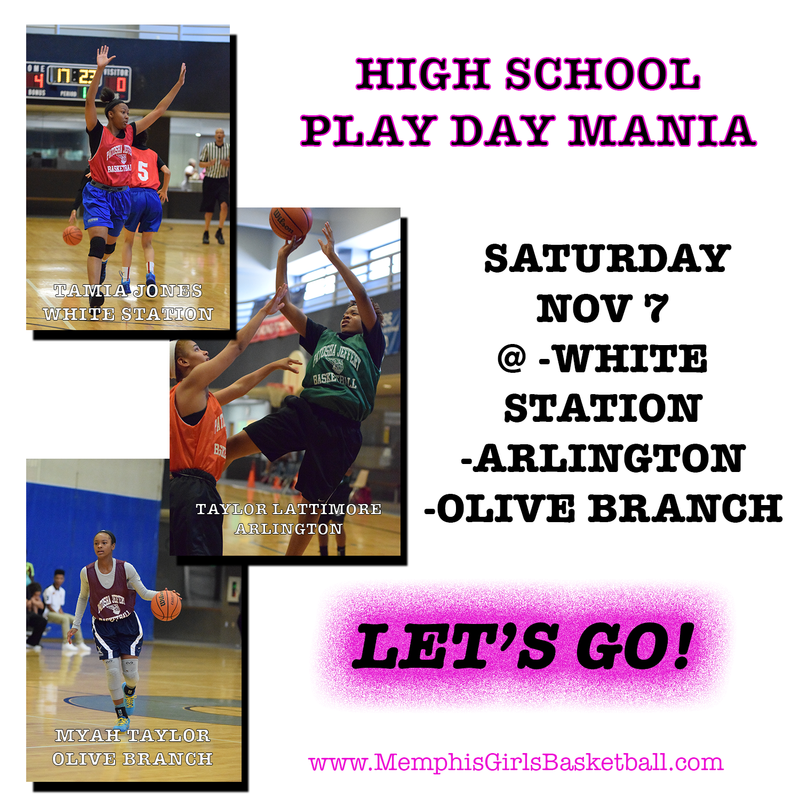 Mitchell: Derenisha Taylor and newcomer Vertonia Bady will make the Tigers tough. 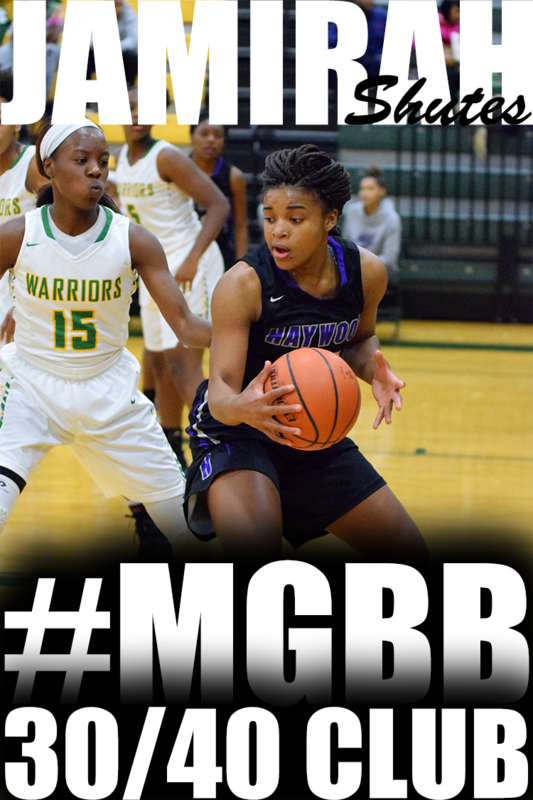 Munford: Sophomore Gabby Crawford leads a squad with a lot of promise. 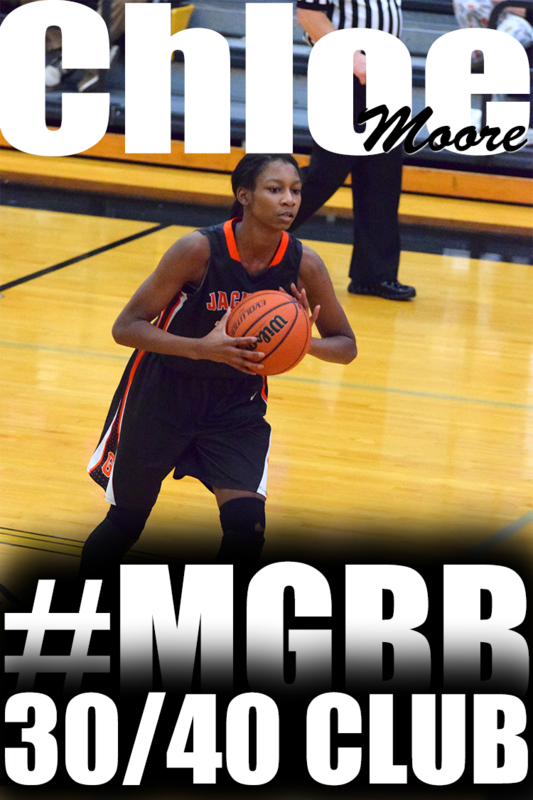 Raleigh-Egypt: 6-3 Old Dominion signee Manaya Jones leads the Pharaohs as they challenge Craigmont in AA. West Memphis: Four starters return from a 17-9 team. White Station: First-year coach Tommy Warren is a proven winner. Can you feel it! 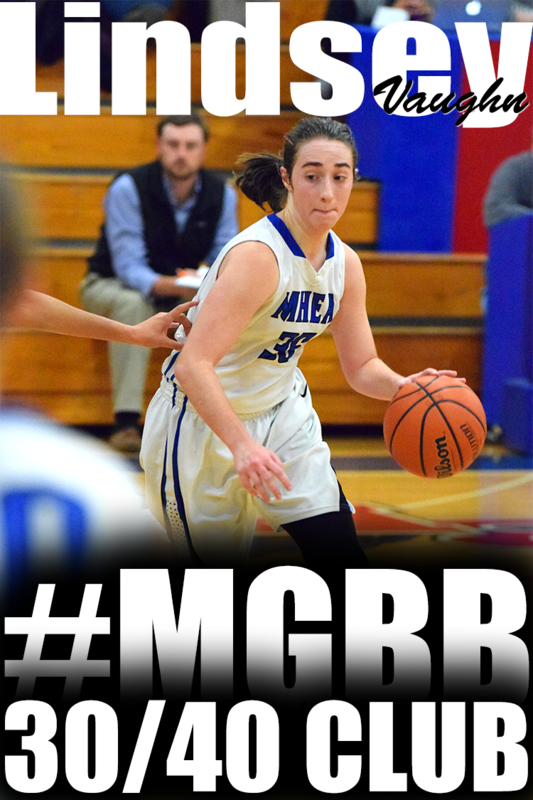 is the theme for the first #MGBB Mix of the 2015-16 basketball season. I wanted to do something different with the mix to kick off the high school season. Shout out to all the teams that participated in the White Station or Arlington's Play Days. And I want to send a huge congratulations to the class of 2016 players that's signed their NLIs. 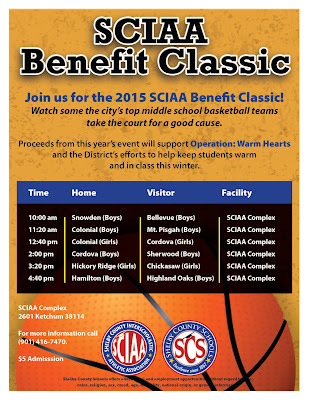 Let's have an awesome 2015-16 basketball season!!!! Union City (18) — Bishop 5, Deberry 3, Pearson 2, Vaughn 3, Young 2, King 3. Central (63) — Miyah Barnes 15, Brianna Cooks 12, Tijuana Griggs 3, Kynadi Kuykendoll 3, Johne Stewart 7, Jireh Washington 9, Lanetta Williams 5, Alencia Hall 6, Faith Rodgers 1, Sarina Rodgers 2. ECS (32) — Jordan Shackleford 7, Adrienne Teed 6, Kate Lyons 1, Daisha Jiles 2, Emily Lytle 13, Hope Gribble 3. St. Benedict (49) — Taylor Barnes 16, Nicole Ferris 11, Myah LeFlore 9, Catalina Carrasco 5, Lauren Neuhoff 4, Braxton Powers 4. Records — ECS 1-1, St. Benedict 2-0. Harding (24) — H. Harris 3, V. Harris 1, D. Ellis 4, E. Savage 2, A. Horrer 4, T. Robinson 3, A. Lewis 7. White Station (59) — K. Harris 7, D. Montgomery 10, T. Williams 7, B. Moore 8, D. Griffin 21, T. Jones 5, A. Black 1. Records — Harding 0-1, White Station 1-0. Soulsville (40) — Chatman 16, Jones 14, Mays 2, Meredith 6, Powers 2. MASE (38) — Warren 4, Spencer 3, Stornus 7, Robinson 10, Sullurs 3, Mitchell 9, Moore 2. Records — Soulsville 2-0, MASE 0-1. Memphis Metro (47) — Taylor 13, Battle 15, Nichols 1, Williams 1, Harvey 2, Hicks 15. Bolton (56) — Toni Green 3, Kiki Logan 2, Kerrice Watson 13, Lakayia Parker 7, Taylor Smith 2, Heaven Thompson 17, Misha Wright 6, Lulu Swift 6. Records — Memphis Metro 6-4, Bolton 1-1. Center Hill (39) — Danielle Hopkins 3, Kaylan Morris 2, Jada Spratt 1, Erica O'Bryant 2, Carrington Kneeland 9, Ariel Tunstall 15, Victoria Dailey 7. Collierville (77) — Alexis Taylor 4, Vanessa Christensen 2, Macee Horner 1, Trinity Farmer 10, Destiney Amaefula 3, Destiny Shaw 2, Kyra Pryor 16, Jada Taylor 8, Lizzie Christensen 2, Lauren Taylor 20, Daija Boyd 5, Nadia Baker 4. Southaven (48) — Jenna Cunningham 6, Shaniia Green 5, Emily Evans 5, Tye Metcalf 7, Gabrielle Morgan 11, Astraea Moore 6, Erica Jones 6, Tan Metcalf 2. Germantown (24) — Breaunna Burks 4, Elizabeth Laboe 3, Davielle Moore 5, Destinee Manning 9, Carria Smith 1, Karlynn Woods 2. Central (84) — Miyah Barnes 29, Jireh Washington 22, Brianna Cooks 5, Tijuana Griggs 2, Johne Stewart 7, Kynadi Kuykendoll 7, Lanetta Williams 10, Lanyce Williams 2. Haywood (57) — Benton 3, Dancy 2, Calloway 7, Shutes 7, Sharpe 9, Johnson 10, Young 9, Smith 10. Records — Central 1-0, Haywood 0-1. Oakhaven (62) — M. Beamon 14, E. Shorter 2, T. Ash 2, J. Cowan 8, C. Howard 30, M. Randolph 2, B. West 2, L. Robertson 2. 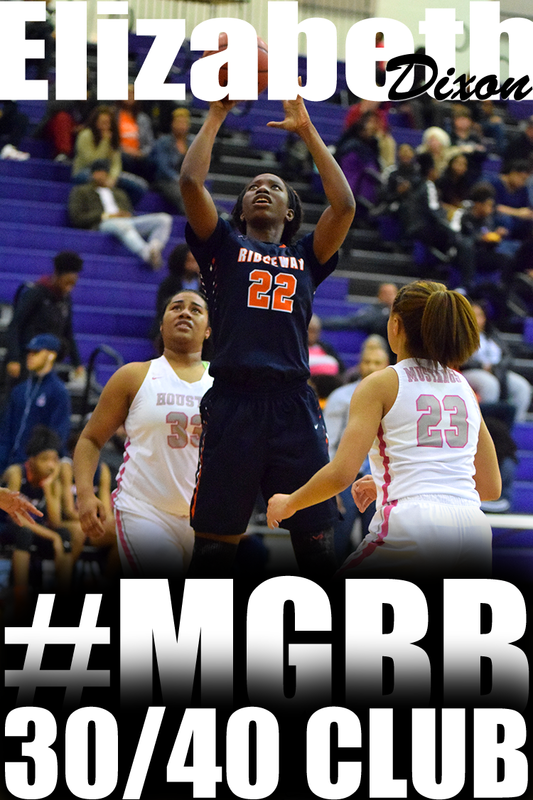 Manassas (59) — Jasmine Walker 4, Joslynn Basemore 18, Markeshia Scott 3, Ranesha Brown 8, Latonia Farley 6, Rakeeba Curry 4, Tonesha Clayborne 16. Records — Oakhaven 2-0, Manassas 1-1. St. Benedict (67) — Hirsch 2, LeFlore 9, Parker 2, Barnes 17, Glenech 3, Denegri 4, N. Ferris 23, K. Ferris 2, Powers 5. Millington (28) — Kiara Kemp 2, Glenda Garner 3, Keyona Johnson 6, Tamia Aldridge 7, Marquisha Sanders 7, Jherika Brown 1, Traci Clark 2. Records — St. Benedict 1-0, Millington 0-2. Craigmont (79) — Akeria James 13, Morgan Morris 13, Keveona Fayne 20, Danielle Conley 18, Jessica Neal 4, Daja Scurlock 2, Jasmine Thornton 5, Nakiya Brown 4. Mitchell (58) — Derinisha Taylor 6, Shakira Hearn 3, Dominique McAdory 4, Vertonia Bady 15, Dominique Chatman 8, Demiya Grandberry 4, Anterrica Willis 18. Records — Craigmont 2-0, Mitchell 0-2. Middle College (20) — Ravina Crawford 6, Brittney Combest 3, Domonique Harris 1, Destinee Walls 3, Izari Merriweather 7. Raleigh-Egypt (76) — Taliyah Davis 4, Britney Johnson 15, Diamond Hunt 2, Kadaisha White 4, Tasia Bland 3, Ronni Williams 18, Manaya Jones 16, Whitney Smith 7, Taylor Bridges 5, Jakayla Robinson 2. Records — Middle College 0-1, Raleigh-Egypt 1-0. Macon Road (27) — Amber Bigelow 6, Katie Smith 8, Bre Wilson 3, Ari Davidson 1, Kyleigh Luckett 2, Emalynn Talley 7. Tipton-Rosemark Aca. (70) — Abby West 13, Brittany Hall 6, Brooke Bridges 2, Neely Turner 6, Ally Naifeh 10, Taylor Beasley 6, Kallie Alexander 8, Megan Sanfratello 15, Emily West 4. Records — Macon Road 0-1, Tipton-Rosemark Aca. 1-1. Central Baptist (7) — Reanna Fleming 2, Amy Lewis 3, Rachel Amburgey 2. Westminster (62) — Leah Campbell 2, E.A. Hickman 6, Laurel Martens 8, Sarah Folk 4, Jessica Poovey 10, Georgianna Wells 7, Ashton Storey 19, Clara Halford 6. 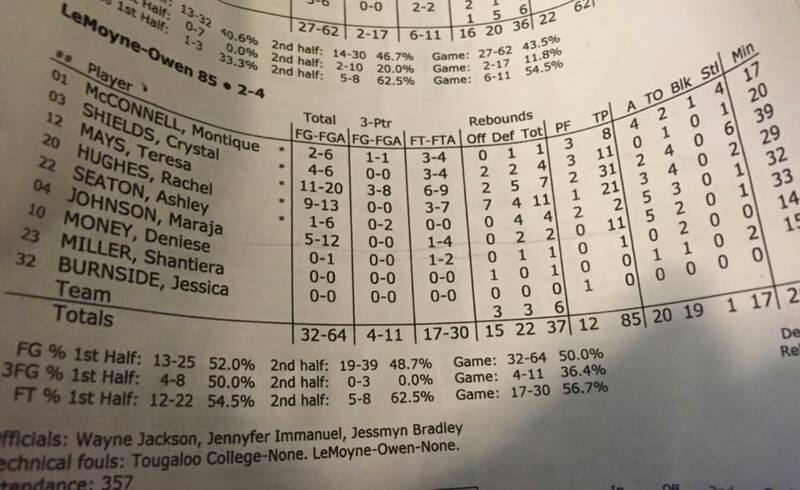 City University (22) — Makayla Stout 4, Miracle Gober 4, Tatyana Rideout 12, Iesha Miller 2. Westwood (51) — Tacorria Stokes 6, Jasmyne Long 18, Breanna Boyd 2, Carleesia Austin 13, Marnique Burton 10, Ursula Johnson 2. Catholic (43) — Lytia Flowers 12, Suzanne Dease 2, Zarera Ector 10, Gabby Moore 11, Harmony Lucas 3, Shania Smith 5. Wooddale (23) — Terrika Hunt 2, Tarsha Ivory 10, Tatianna Kumb 1, Dashona Richard 1, Brianca Williams 9. Records — Catholic 1-1, Wooddale 0-1. Houston (57) — Jayla Hemingway 8, Rochelle Lee 8, Shaela Gardner 3, Madison Griggs 14, Jaida Roper 19, Melisa Carter 2, Shannon Sharp 3. Arlington (51) — Taylor Lattimore 7, Raegyn Branch 10, Callie McMorran 6, Ashley Lee 18, Tori Sewell 10. Records — Houston 2-0, Arlington 1-1. KIPP (22) — J. Carr 3, S. Howard 15, A. Malone 2, B. McGee 2. Bartlett (67) — D. Williams 14, Anguiano 4, Reeves 9, Coggin 10, Smith 5, Payne 8, Crawford 2, Jackson 10, Chandler 2, Gill 3. MHEA (50) — G. Lewis 3, A. Burnett 8, J. Crum 16, L. Vaughn 16, A. Carson 5, K. Loadholt 2. Briarcrest (45) — Perrusquia 6, Barry 2, M. Owens 2, S. Owens 12, Wells 19, Hunt 4. Records — MHEA 6-0, Briarcrest 1-1. Kirby (57) — Hamer 28, Walton 13, Jackson 12, Shelton 4. Cordova (39) — Wrister 4, Brown 6, Christian 14, Poe-Wilkins 6, Head 9. Records — Kirby 1-1, Cordova 0-2. Northpoint (69) — Ashtyn Baker 26, Micaela Brown 2, Lindsay Bramlitt 2, Lauren Gross 10, Jade Wells 14, Lindsay Whiteside 15. Fayette Aca. (22) — Lauren Lessel 5, Sarah Layne Ellis 2, Abby Hilliard 4, Heather Slocum 2, Morgan Reed 2, Kayli Skelton 7. Records — Northpoint 2-0, Fayette Aca. 1-1. Ripley-Tenn. (12) — Lee 1, Cooper 1, Currie 2, Doles 1, Barbee 7. Munford (51) — Shania Johnson 6, Johnna Jones 19, Deasha Banks 3, Deja Potter 10, Gabby Crawford 8, Ali Gover 3, Alyia Lee 2. Kingsbury (35) — Bell 5, Echols 8, Austin 3, Johnson 3, Banks 16. Ridgeway (69) — Brandi Beasley 22, Mericle Hall 6, Cassye Greer 2, Fatimah Wells 2, Secret Brown 2, Elizabeth Dixon 11, Jamille Hamlett 7, Takesia Barnes 15, Sheniba Stewart 2. Sheffield (55) — C. Thomas 2, M. Billups 5, W. Holloway 3, M. Borders 18, D. White 7, B. Beason 7, N. Mays 13. Southwind (67) — K. Lowery 9, E. Shaw 25, Y. Coleman 4, E. Rankin 6, P. Fossett 11, A. Anthony 2, M. Cooper 6, K. Allen 4. Records — Sheffield 0-1, Southwind 2-0. Douglass (41) — Morris 4, Carnes 18, Jones 10, Dangerfield 5, Fletcher 4. St. Agnes (58) — Rachel Siano 13, Amelia Wigley 10, Caroline Pietrangelo 11, Amanda Lammey 17, Marisa Lewis 2, Kayton Foulks 2, Mary Wilson Screws 3. Records — St. Agnes 1-0. MHEA (77) — L. Milewski 2, G. Lewis 6, A. Burnett 6, J. Crum 11, L. Vaughn 24, A. Carson 12, K. Loadholt 14, C. Shoemaker 2. Millington (24) — Kiara Kemp 2, Glenda Garner 10, Keyona Johnson 7, Tamia Aldridge 5. Melrose (27) — Conner 4, Spencer 12, Watkins 6, Smith 2, Miller 3. Ridgeway (70) — Brandi Beasley 20, Sydney Savage 6, Mericle Blakehall 12, Cassye Greer 7, Fatimah Wells 2, Secret Brown 2, Elizabeth Dixon 7, Jamille Hamlett 4, Takesia Barnes 10. Records — Melrose 0-1, Ridgeway 1-0. Southaven (53) — Cunningham 2, Green 5, Evans 6, Metcalf 11, Morgan 11, Moore 5, Jones 13. Byhalia (61) — Martin 16, Moore 3, Johnson 37, Smith 2, Pye 2, Buford 1. Southwind (58) — Lowry 7, Shaw 22, Coleman 14, Rankin 4, Fossett 1, Marshall 4, Anthony 6. Bartlett (50) — D. Williams 6, E. Williams 3, Anguiano 1, Reeves 4, Coggin 6, Smith 13, Payne 15, Crawford 2. Records — Southwind 1-0, Bartlett 0-1. Brighton (71) — Danielle Collins 22, Taliyah Brown 16, Onyx Magno 1, Kailey Hunt 3, Makayla Rose 12, Shayna Johnson 8, Lindsey Morrissette 5, MG Smith 3, Sam Sloan 1. Catholic (63) — Lytia Flowers 8, Suzanne Dease 6, Zarera Ector 8, Gabby Moore 23, Deyon Gipson 2, Harmony Lucas 7, Shania Smith 9. Records — Brighton 1-0, Catholic 0-1. Collierville (44) — A. Taylor 3, Christiansen 2, Farmer 1, Amaefula 5, Shaw 8, J. Taylor 9, Pryor 7, L. Taylor 9. Cordova (38) — Wristler 14, Brown 5, Christian 7, Powe-Wilkins 1, Head 10, Rollins 1. Records — Collierville 1-0, Cordova 0-1. Mitchell (62) — Taylor 14, Hearn 1, McAdory 4, Bady 14, Chatman 12, Grandberry 2, Kee 6, Willis 3, Jackson 6. Craigmont (70) — Akeria James 2, Tiara Reed 2, Morgan Morris 6, Keveona Fayne 3, Danielle Conley 27, Jessica Neal 6, Daja Scurlock 24. Records — Mitchell 0-1, Craigmont 1-0. Arlington (68) — Trenity Hill 4, Nakia Grandberry 1, Taylor Lattimore 5, Raegyn Branch 5, Caitlyn Wilson 4, Haylee Smith 3, Callie McMorran 8, Ashley Lee 21, Hailey Hammonds 1, Tori Sewell 16. Fayette Ware (29) — Shakyla Hullom 3, Katalyna Gooden 2, Canteisha Jackson 6, Shakira Price 2, Morgan Bowling 13, Andeshia Clark 2, Ladarica Maclin 1. Records — Arlington 1-0, Fayette Ware 0-1. Bolton (51) — Toni Green 8, Ameri Mickelson 4, Kiki Logan 1, Cece Craft 3, Kerrice Watson 3, Lakayia Parker 19, Taylor Smith 3, Heaven Thompson 9, Marguisa McGregory 1. Houston (92) — Jayla Hemingway 32, Rochelle Lee 1, Sydney Malone 6, Sammiyah Hoskin 4, Shaela Gardner 5, Madison Griggs 5, Jaida Roper 8, Melisa Carter 6, Kelsey Nadler 4, Shannon Sharp 21. Records — Bolton 0-1, Houston 1-0. Power Center Aca. (29) — Rahja White 16, Surina Finnie 5, Jerica Garrett 5, Zebriana Lee 2, Kelsey Banks 1. Hutchison (46) — Macy McCullough 1, Elizabeth Farnsworth 12, Jordan Groover 2, Madison Moore 6, Rainey Charbonnet 3, Gardner Dunavant 17, Annsley Barton 3, Catey Nelson 2. Records — Power Center Aca. 0-1, Hutchison 1-0. Memphis School of Excellence (7) — Shantell Turner 3, Tya Harvey 3, Kayla McGee 1. Manassas (60) — Jasmine Walker 7, Joslynn Basemore 8, Alexis Craft 6, Brittney Jones 2, Faith Moore 2, Timia Taylor 5, Markeshia Scott 2, Ranesha Brown 5, Latonia Farley 13, Rakeeba Curry 8, Breunna Butler 2. Records — Memphis School of Excellence 0-1, Manassas 1-0. Rossville Christian (18) — Caroline Loftin 9, Kara Novarese 8, Breana Bing 1. Northpoint (78) — Ashtyn Baker 10, Micaela Brown 2, Mason Branning 2, Hadie Sowell 2, Caroline Swindoll 3, Lindsay Bramlitt 2, Amara McKay 4, Lauren Gross 14, Hannah Shafer 7, Jade Wells 13, Lindsay Whiteside 19. Records — Rossville Christian 1-1, Northpoint 1-0. 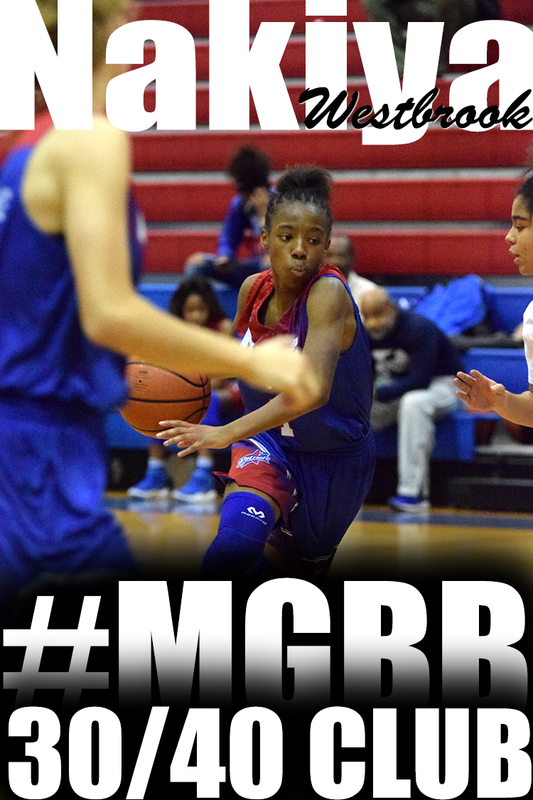 MLK Prep (28) — Page 13, Merriweather 1, Hooks 6, McCullough 1, Johnson 2, Person 5. Soulsville (54) — Mays 1, Jones 14, Meredith 27, Brown 2, Powers 2, Chatman 8. Records — MLK Prep 0-1, Soulsville 1-0. MHEA (57) — L. Milewski 3, G. Lewis 7, A. Burnett 11, J. Crum 7, L. Vaughn 17, A. Carson 5, K. Loadholt 7. St. George's (26) — Grace Kenley 2, Miaya Smith 9, Adi Thrasher 5, Ann Ragan Grissom 2, Kirby Betchick 1, Makayla Smith 7. Records — MHEA 1-0, St. George's 0-1. Germantown (46) — Tanitra Davis 3, Breaunna Burks 11, Elizabeth Laboe 2, Cayla Cox 2, Davielle Moore 3, Destinee Manning 10, Alexis Shavers 5, Tangie Dunlap 4, Carria Smith 4, Karlynn Woods 2. St. Mary's (22) — Kate Herzke 5, Brett Silver 4, Mary Harper Robinson 12, Jean Jackson 1. Records — Germantown 1-0, St. Mary's 0-1. Covington (55) — Poindexter 36, M. Johnson 3, Russell 1, Booker 12, Bland 2, A. Johnson 1. Union City (62) — Vaughn 24, Pearson 2, Deberry 3, Smith 12, Bishop 17, Williams 2, Young 2. Records — Covington 0-1, Union City 1-0. Fayette Aca. (61) — Lauren Lessel 13, Sarah Layne Ellis 5, Kaitlin Bowers 9, Alex Wadley 8, Kaylie Carter 1, Abby Hilliard 21, Heather Slocum 4. West Memphis Christian (42) — Pike 16, Clay 16, Watkins 10. Records — Fayette Aca. 1-0, West Memphis Christian 0-1. KIPP (45) — D. Clark 10, J. Carr 4, S. Howard 17, D. Pickett 2, A. Malone 2, B. McGee 9, C. Eldredge 1. Westwood (55) — Tacorria Stokes 8, Jasmyne Long 17, Breanna Boyd 4, Carleesia Austin 10, Marnique Burton 7, Ursula Johnson 8, Cedkenya Crockett 1. Records — KIPP 0-1, Westwood 1-0. Magnolia Heights (53) — Avery McIver 3, Ann Reagan Sandridge 3, Mari Alex Sandridge 6, Codie Robertson 17, Maggie Glosson 5, Lindley Gaines 15, Abby Billingsly 2, Hannah Gaines 2. Tipton-Rosemark Aca. (44) — Abby West 3, Brittany Hall 3, Brooke Bridges 2, Neely Turner 3, Ally Naifeh 19, Taylor Beasley 11, Emily Fisher 1, Kallie Alexander 2. Records — Tipton-Rosemark Aca. 0-1. Junior Nina Davis is the reigning Big 12 player of the year and was a WBCA All-American in 2015. "Coming in as a freshman, I didn't expect it to be this way," said Davis, a junior from Memphis, Tennessee. "I don't know if fan support or tradition was something I really paid that much attention to; I just liked the school and the coaches. But Baylor Nation is great, we have fans who travel all over, and it just makes you play harder. You don't want to let the fans down. The left-handed forward made a great first impression at the camp. Her mobility and activity translates into productivity. 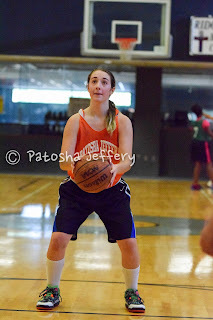 She showed range on her jumper in drills as well as in game play. Standing at 6-foot-2, look for her to be a standout while playing with coach Eric Daniels on the summer travel circuit. 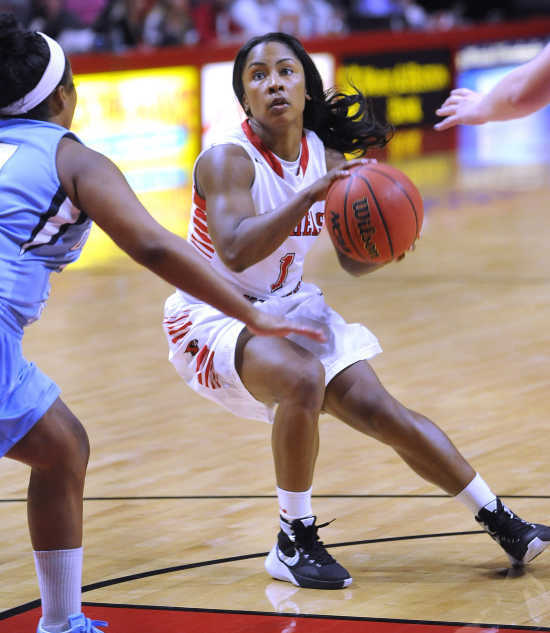 Lewis is a left-handed point guard who does a good job of involving her teammates in the offense. She showed poise and skill at the camp in October. Look for her game to expand as she matures physically. Shutes is an aggressive guard with the ball in her hands. She pressed the issue from the point position and made positive things happen all weekend long. In a game that is dominated by point guard play, Shutes is a prospect to track in future evaluations. 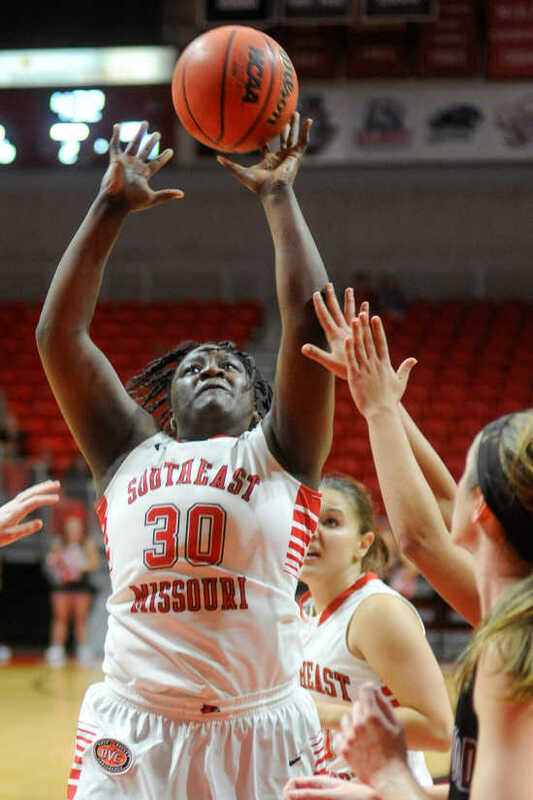 SEMO had two exhibition games within the past week. I found a couple of snapshots of Memphis players from those games. Danielle Ballard made her pro debut recently. Danielle played three seasons at LSU. During her college career, she received numerous accomplishments including All SEC 1st Team and All SEC Defensive Team twice. She was also a mock draft 1st-2nd RD Draft pick for the 2016 WNBA draft. In Danielle's pro debut, she scored 23pts, 10rebs, 3ast, 2stls in 30 minutes. Congrats to MHEA for winning their 3rd straight Homeschool Tip Off Tournament championship. 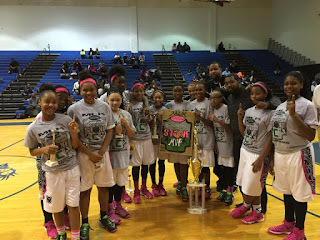 In the championship game, Lindsey Vaughn led with 15 points and Annaliese Burnett had 10. MHEA defeated New Way (TX), who is led by UTEP signee Roeshonda Patterson. Clarion-Ledger released it's Dandy Dozen list. 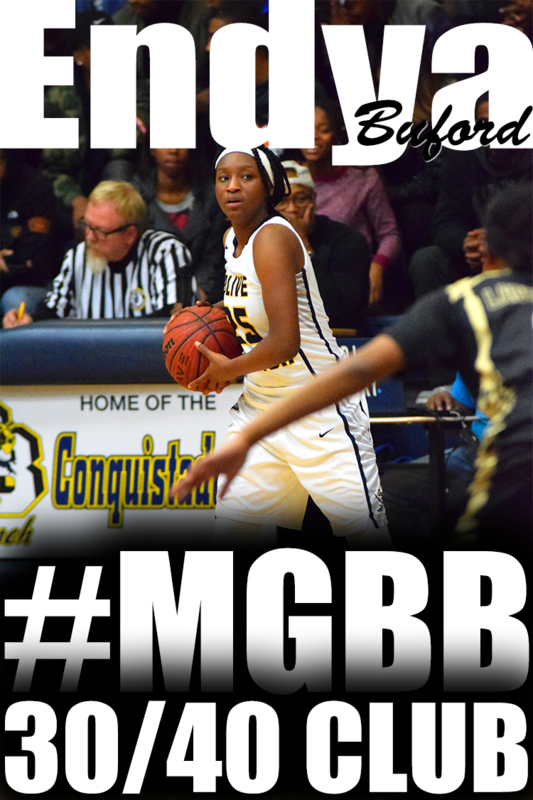 Congrats to Olive Branch's Myah Taylor for her repeat Dandy Dozen selection. The Buzz: The Lady Quistors have a big chip on their shoulders after losing the state championship to Horn Lake in back-to-back years. Blake Jones returns a loaded squad that looks to get over the hump and finally win the 6A title with Mississippi State commit Myah Taylor, the reigning Mississippi Gatorade Player of the Year, sharp-shooter Savanna Geeslin and sophomore Mahogany Vaught, who has been a key member on varsity since she was an eighth-grader. The Buzz: Jana Thompson’s team seeks its third straight state title this season. It won’t be easy with the departure of All-State selections Alexyse Thomas and Rodneshia Martin, but Horn Lake has depth where it counts. Eastern Kentucky commit Tae’Lour Richardson will be expected to carry a big scoring load after averaging 9.8 points last season. The Buzz: The Lady Jackets’ come-from-behind win to beat Hattiesburg in the 6A quarterfinals was one of the most exciting moments in Mississippi girls basketball last year. Kristie Williams has tremendous depth returning this season with a core group of seniors and junior standout Kelsey Jones. Starkville won Region 3-6A the past two years and is primed for another district championship and run toward Jackson. The Buzz: The Lady Bulldogs rule Class 5A after locking up state titles in back-to-back seasons. Natchez returns depth and size in the post and wings with Zyaire Ewing and Skylar Morgan after only losing one game early last year to Brandon. The Buzz: Despite being young and inexperienced in 2014-15, Terry still managed to make it to the quarterfinals of the MHSAA championships before falling to eventual 6A champion Horn Lake. The Lady Bulldogs are on their third coach in three seasons (Angelina Johnson) but possess depth and size down low and return one of the state’s top guards in Nyah Tate. The Buzz: The Lady Tigers reached the Big House for the first time since 2010 after sweeping through the regular season. Tamia Stinson steps into the role held by sharp-shooting guard Jazmin Boyd and looks to take an experienced Hattiesburg team one step further in the state championship playoffs. The Buzz: The Lady Falcons made a run in the state tournament last year with six freshmen on their roster. Velma Jackson is fast, athletic and has enough in the tank to be among the favorites to battle with reigning champ Belmont in 3A. Tyasia Willis has led her team to the playoffs every year since she was a freshman by averaging a double-double each season. The Buzz: Twila Hill and Tiara Robbins are going to cause problems for the teams Callaway faces. The Lady Chargers may not have a ton of guard depth but know how to play physical in the post. The Buzz: The Lady Canes return Mississippi’s top post player in Ameshya Williams and a group that dominated its opponents on the Coast and only lost two games last season. Teams are often met with a mismatch when facing West Harrison. That shouldn’t change this year. The Buzz: The Lady Bulldogs stumbled several times during the regular season but managed to make a run into the postseason. 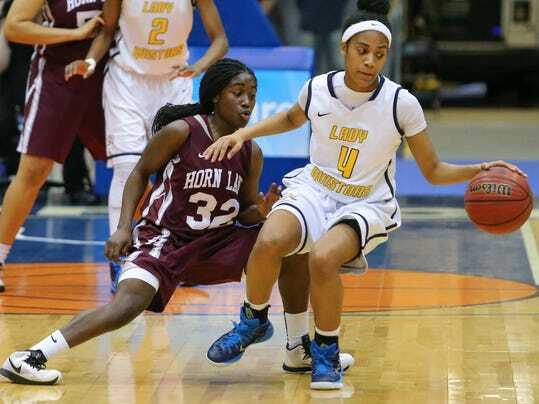 Top senior guard Brittany Rose returns to help Lanier get back to the Big House. Things should get interesting with crosstown foe Provine moving into 4-5A. The Conquistadors lost to Horn Lake in the 6A title game for the second-consecutive year, and Jones will have his team ready to contend once again in 2015-16. 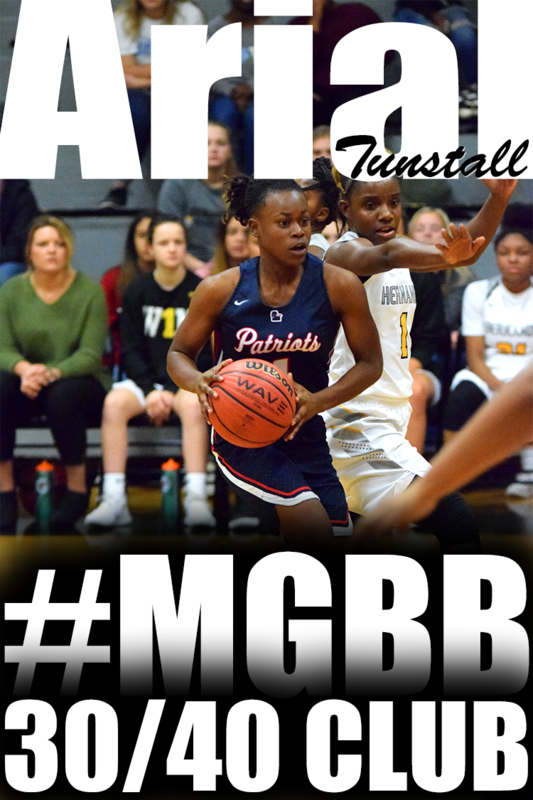 Myah Taylor, a 5-foot-7 all-state guard, was sensational last season as a sophomore, averaging 18 points, eight assists and five steals per game. She'll lead the charge in what they hope is a title season. The Eagles won their second-straight 6A title by beating Olive Branch, led by Alexyse Thomas' 17 points and nine boards. Thompson will have a tall task in replacing the production of Thomas and fellow all-state selection Rodneyshia Martin, but Tae'Lour Richardson — who scored 11 in the title game — will likely step up. Natchez took home a second-consecutive 5A title last season with a 74-66 win over West Jones after trailing by 13 in the first quarter. The Bulldogs are back in a big way this season, with all-state guard Zyaire Ewing looking to improve on a junior season in which she averaged 12.8 points and six rebounds per game. Callaway may be known for its boys program, but overlooking the Chargers would be a mistake. Bailey's squad lost to West Jones in the 5A semifinals, but returning all-state forward Twila Hill will likely improve on her averages of 17.1 points, 11.3 rebounds and 2.3 blocks per game, making Callaway a formidable opponent. The Tigers saw a late lead evaporate in a devastating loss to Starkville in the 6A quarterfinals, making them even hungrier this season. Coach Jackson loses all-stater Jazmin Boyd, but returns an experienced squad ready to prove that last season's bitter loss was nothing but a fluke. I hate I have to miss the Colonial - Cordova game!! Forward Nina Davis is one of five NCAA Division I women’s basketball players selected to participate in Women’s Basketball Media Day hosted by the NCAA and ESPN that will take place on Tuesday, Nov. 3, on the ESPN campus in Bristol, Conn. Joining Davis as part of the “Starting Five” will be Diamond DeShields, Tennessee; Moriah Jefferson, UConn; Tiffany Mitchell, South Carolina and Breanna Stewart, UConn. Also participating in the event will be the 2015 Women’s Final Four head coaches Geno Auriemma of UConn, Muffet McGraw of Notre Dame, Dawn Staley of South Carolina and Brenda Frese of Maryland. Davis, a 5-11 junior, was a unanimous All-America, Big 12 Player of the Year and All-Big 12 First Team selection as a sophomore. Davis led the Big 12 in scoring (21.1) and double-doubles (12) a year ago, was second in field goal percentage (.584) and fourth in rebounding (8.3). 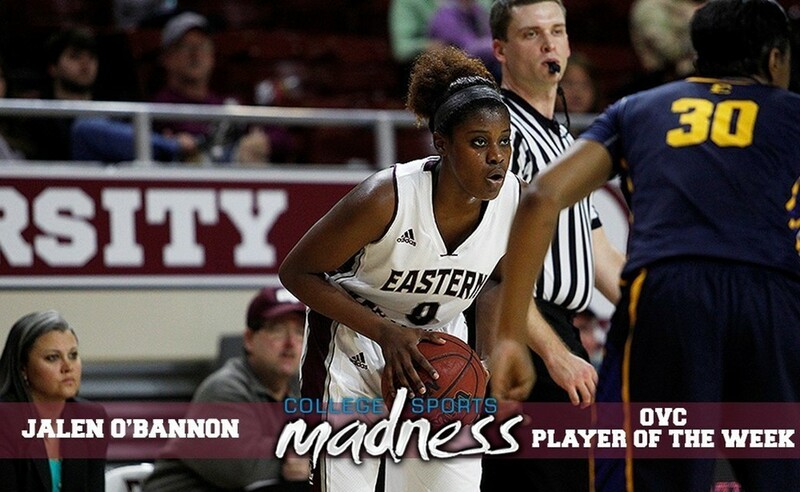 She has been selected by Big 12 coaches as the league’s Preseason Player of the Year. This is probably the biggest highlight project I’ve created in terms of the length of footage (I went through 4 games.) and the talent level. Tamia Jones is an extremely multidimensional player. She is 5’10 and can play both the guard and post positions. So I wanted to display all the skills she has: short jumper, slashing, ability to guard on the perimeter, athleticism, quick hands, rebounding, transition ball handling and shot blocking. Footage from 2015 Fall Exposure League. Highlight created by Patosha Jeffery.